A scene from the 1959 Commencement play "Henry IV, Part I." 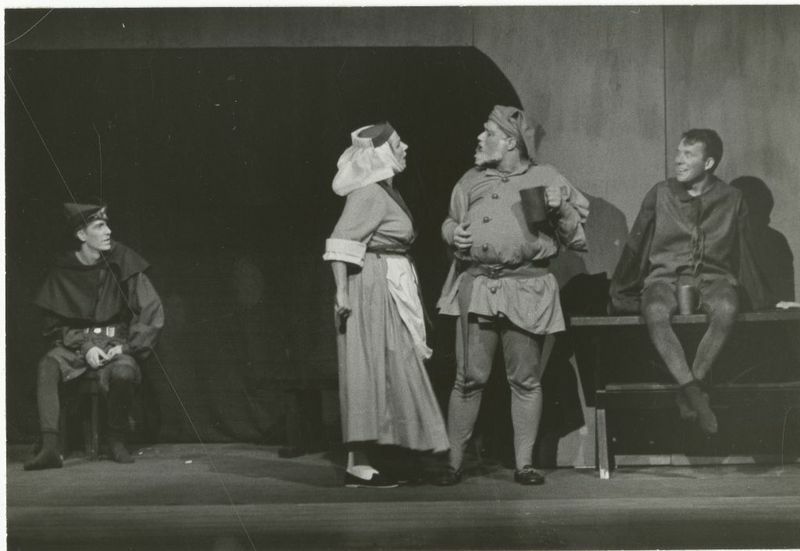 Mrs. Athern Daggett as Mistress Quickly is center left while Daniel Calder '60 as Falstaff is center right. This image is in the June 1959 Bowdoin alumni magazine.